The Rochester Business Journal recently honored Mathew Devine, D.O., and Ronald Epstein, M.D., with 2018 Health Care Achievement Awards in the Physician Category. The award honors physicians whose job performance is considered exemplary by patients and peers. Factors judged include evidence of positive outcomes, patient satisfaction, and testimonials from peers and administrators. Dr. Devine is the Associate Medical Director at Highland Family Medicine and a Medical Director at Accountable Health Partners (AHP) and is highly regarded by the physicians and administrators. He is regarded as one of the most competent physicians practicing at Highland and never misses an opportunity to deliver compassionate, hands-on care. The perfect role model for residents and medical students, he has received several prestigious teaching awards that validate his skills including; The Forty Under 40 award from the Rochester Business Journal in 2015, a New Faculty Scholars Award from the Society of Teachers of Family Medicine, and the Highland Family Medicine Provider of the Year award in 2010. As a published author and presenter at many national meetings, Dr. Devine has helped to move the field of family medicine forward. He has spoken at these conferences on a variety of topics including team work, resident education, and improving the quality of care in the teaching program. This scholarly work is another way that Dr. Devine is making substantial contributions in his field and developing a reputation in the state and nationally. Dr. Devine makes many appearances on local television and radio, speaking about medical topics pertinent to the community. He has also had considerable community involvement particularly around raising awareness and funding as part of the American Diabetes Association. In recognition of these efforts, he was awarded a Community Leadership Award at the annual meeting of the American Diabetes Association in New Orleans in 2012. Dr. Epstein is known as a compassionate physician, an inspirational teacher, a celebrated author, and a renowned researcher who is impacting health care in our community and around the world. 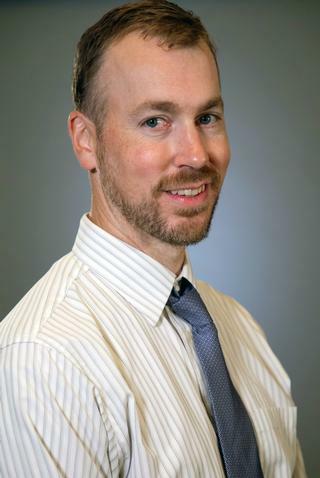 He practices at Highland Family Medicine, is a University of Rochester Medical Center professor of Family Medicine, Psychiatry, and Oncology, and sees patients on the Palliative Care service. He recently published a book that offers an inside look into how doctors think and work. Attending: Medicine, Mindfulness, and Humanity is believed to be the first book for the general public about mindfulness in medical practice. A graduate of Wesleyan University and Harvard Medical School, he completed his residency at the University of Rochester Department of Family Medicine, remained in Rochester, and has cared for many of the same patients for close to 35 years. Dr. Epstein has built a worldwide reputation for physician training while teaching at the University of Rochester School of Medicine and Dentistry. A hallmark of his success has been to understand what makes an outstanding doctor—qualities such as self-awareness, good judgment, and communication skills—and to revamp education to include those qualities in assessments of professional competence. In addition to his teaching and medical practice, Dr. Epstein is a well-funded researcher who focuses on doctor-patient communication particularly in cases of advanced cancer, and how to promote mindfulness and compassion in health care. The Society of Teachers of Family Medicine (STFM) recently honored Dr. Epstein with the 2017 STFM Gold Humanism Award. Dr. Epstein directs the Center for Communication and Disparities Research and co-directs the Deans Teaching Fellowship Program and Mindful Practice Programs at the University of Rochester School of Medicine and Dentistry. He is recipient of lifetime achievement awards relating to communication and humanism, a Fulbright fellowship in Barcelona and fellowships at the University of Sydney and the Brocher Institute in Geneva. He has published over 250 articles and book chapters.